If you are looking to discover the best of France, its top wine regions, most cosmopolitan cities, picturesque landscapes, and gourmet eateries, look no further. Our France Wine Odyssey includes an extensive variety of professional and privileged wine tastings of premium estates, perfect for wine lovers and connoisseurs alike. All Cellar Tour vacations are tailor-made so whether you are a couple, family, group of friends or a wine club, retailer or wine professional we will adapt the experience perfect for you. Luxury and the finer details are of the utmost importance to us, ensuring that our guests don’t have to think about anything other than enjoying this fabulous experience. 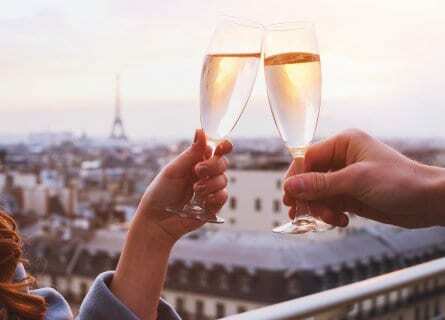 The trip commences in romantic Paris, where you will spend a couple of days soaking up the atmosphere and take part in a French Wine Masterclass, the perfect introduction before hitting the road, wine country bound. Your first stop is in glamorous Champagne; tasting a wide range of the most prestigious Champagne houses and an unforgettable boat ride down the Marne. Heading south towards Burgundy stopping in fascinating medieval towns and historic villages en route. A couple of nights in the gourmet capital, Lyon and then on to Bordeaux; where you will visit some of the most sought-after chateaux and wine estates in St Estephe, St Julien, Pomerol, St Emilion, Margaux, and Pauillac. You will dine in ultra-chic restaurants and enjoy meals prepared by your own private chef, looking out over the vines in sumptuous Maison. French wine lovers, this tour is without a doubt the perfect choice for you! Please note the best starting day for this trip is a Friday. Your private chauffeur and luxury Mercedes will collect you at the airport in Paris and you will head to the city. Check-in and hit the ground running. Your local guide will meet you in the lobby. Enjoy a walking tour of pretty gardens and squares, plenty of fresh air and photo opportunities, taking in the Ponts des Arts, Jardin des Tuileries, Place de la Concorde, Pyramide du Louvre and the Champs- Elysées. Follow with a sublime, gourmet lunch at elegant Lasserre- Bienvenue à Paris, this wonderful restaurant has been spreading its magic since 1942, a true classic on the gourmand Paris scene. Relish the wine paired tasting menu with plates such as Flavored duck foie gras stuffed with caramelized quince, litchis and crispy rissoles of dried fruits or Poached sea bass on shellfish and coriander juice, young leeks, and chanterelle mushrooms and make sure you save room for dessert they are out of this world! You will then have a free evening to relax and settle into your delightful hotel, previously Oscar Wilde’s last home, immaculately restored to the highest of standards and is now the smallest 5-star hotel in Paris, utterly chic! Welcome goodies of champagne and chocolates will be waiting for you in your charming room. 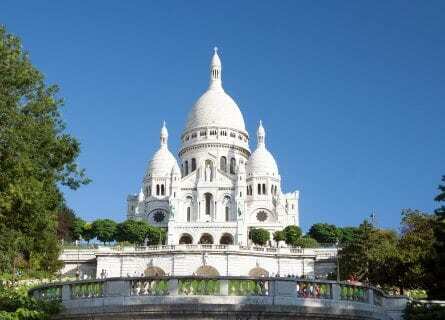 Enjoy a private guided walking tour this morning of fascinating Montmartre. Known as the village in the city, the Montmartre neighborhood was historically used for protection in battle, due to its height (on a hill), this also being a great attraction today as it provides some of the best views of the city. The area is still very arty and quirky, having been home to many artists, singers, and writers since the late 19th century, the famed Moulin Rouge and Le Chat Noir both nearby. Soak up the vibrant atmosphere, sip a coffee in one of the bustling squares or enjoy simply people watching. After such an energetic morning you will most certainly be ready for lunch and you have quite a treat in store: a French wine masterclass with food pairings, designed to give you an informative overview before commencing this French wine odyssey. The setting is a gorgeous ancient stone wine cellar lined with historic wines, some dating back a hundred years. This is a great experience and will really get you in the mood for the days to follow. A free evening to make the most of this romantic city as tomorrow you will hit the road, wine country bound. Drive to the scenic Vallée de la Marne in Champagne this morning, taking in the lovely views en route to Épernay where your private boat captain and professional sommelier will be waiting for you, with a charming timber boat dating to the 1920s. You will embark on a private wine cruise, with a champagne tasting of great offerings from independent Champagne maisons on board as you sail by dreamy vineyards and quaint hamlets. Enjoy various Champagne styles (Brut nature Blanc de Blancs, Blanc de Meunier, Rosé de Saignée, 100% Pinot Gris and more), with sumptuous French gourmet pairings like caviar and local cheeses- a true VIP picnic and a unique way to visit the Champagne wine country! Back on land and on to Reims, where you will stretch your legs on a short but interesting walking tour in the picturesque, historic center taking in architectural masterpieces like the Gothic Cathedral of Notre-Dame. The cathedral was historically chosen as the place to crown kings, hosting 33 coronations in its time. Today it remains prominently on the world map as one of the best examples of Gothic art. Then enjoy a few more glasses of bubbly and a tour of the monumental Pommery House, beautiful. 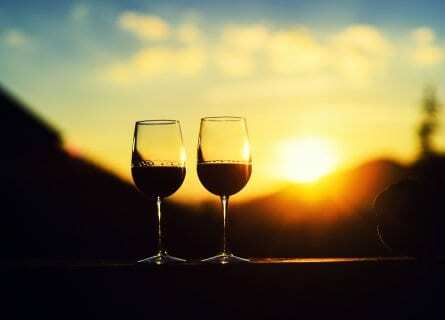 Settle into your luxurious wine relais abode, undoubtedly the best hotel in town. Free time to relax and freshen up before dinner. Dinner is a gastronomic tasting menu with champagne pairings including Krug at your hotel’s fine Michelin restaurant. A luxurious way to end your first day in glamorous Champagne. This morning offers a rustic and authentic experience, a Champagne lunch with terrific local dishes. This is such a nice contrast to the slicker, more glamorous side of Champagne, and you will enjoy the warm hospitality and above all the stellar Champagnes. 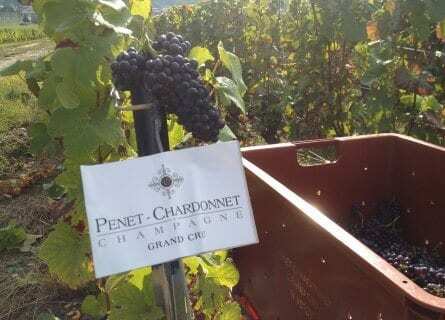 Your chauffeur will drive you to one of the most prestigious Grand Cru villages, Verzy in Montagne de Reims to family-owned Maison Penet-Chardonnet. Only producing Grand Cru Champagne and with very low or zero dosage thanks to the magnificent quality of the terroir and viti-vinification processes. Following your private tour, you will be seated for a champagne tasting lunch at the winemaker’s house. 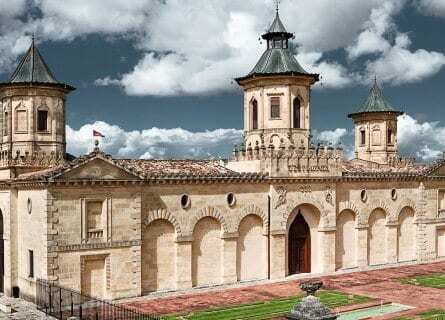 After lunch, your driver is at your disposal to explore the adorable tiny village of Hautvillers, (Dom Perignon’s birthplace) or the Champagne City museum in Ay, where you can discover everything you wanted to know about the history of this enthralling and unique region. 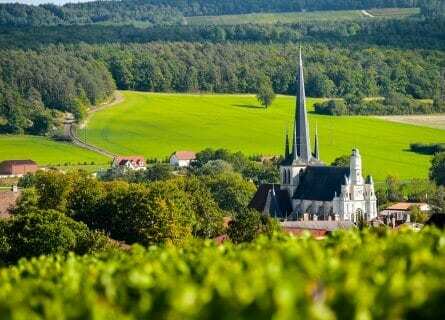 Head to Épernay then, the Champagne region’s other main wine hub and considered by many to be the capital of Champagne. A must see if for nothing more than its central avenue; “Avenue de Champagne”, lined with impressive, opulent Maison and chateaux of the Champagne houses. Underground is as equally impressive where over a 100Km of cellars carved out of the chalk house millions of bottles of developing Champagne. The last stop is Moët & Chandon where you will receive a private tour of the atmospheric cellars, followed by a tasting of the world famous Dom Perignon. 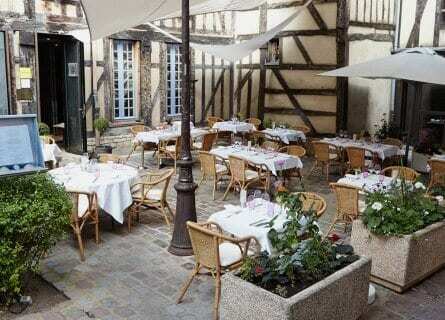 The evening is yours to take in a fine dining experience or something more relaxed at a local bistro in Reims. VIP private tour at Veuve Clicquot this morning, learn more about the remarkable story of Madame Cliquot, who having been widowed at the tender age of 27 went on to play an extraordinary role for a women in those times as head of the company and is honored for her imaginative innovations such as the riddling table, still used today. A tasting will follow with some of their finest, including some rare vintages served with tasty local cheeses. Then on to medieval Troyes; quite a contrast from plush Epernay, Troyes is much more flamboyant with tall, colorful, semi-wooden houses precariously propping one another up. Your table awaits at the refined Le Valentino, fish and seafood being the specialties here, perfectly paired with more of the regions finest bubbles. Savor the likes of “Roasted Lobster Ravioli with shellfish sauce” or “Roasted John Dory with girolles, candied tomatoes, spinach and carrot juice with citrus”. Following lunch you will have some free time to wander around beautiful Troyes, looking up at the top-heavy, tilting houses, taking in the grand gothic cathedral. You will then move on to Dijon, known world over for its mustard, Dijon is much more than the birthplace of this spicy condiment, the capital of what was a powerful empire until the 15th century, Burgundy and much of its architectural grandiose is very much intact today. Highlights include the Duke’s Palace, the covered market, climbing the 316 steps of the Tour Philippe Le Bon for the very rewarding view as well as the Boutique Maille Dijon. Your hotel is none other than the Grand Hotel La Cloche in the heart of this vibrant city. Make the most of a free evening with our suggestions. Visit the emblematic Clos de Vougeot this morning, stroll through the property and admire the vineyards. Dating back to the 12th century when the original winery was built by monks from the nearby abbey. Clos de Vougeot no longer produces wine, however, the chateau remains symbolic in Burgundy. Carry on to Gevrey-Chambertin for a wine tasting lunch at Drouhin-Laroze, served with their Grand Cru wines. A rich family history dating back to 1850, current owners Philippe and Christine are the 5th generation to care for the estate, their adult children Caroline and Nicolas already very hands on. This afternoon, stop in the impressive cellars of Château de Marsannay en route back to Dijon for a private tour and tasting. Quite a contrast to family-run Drouhin-Laroze, with over 28 hectares encompassing some of the best Marsanny climats. Taste some of their stellar wines whilst looking out over the glorious vines. Arrive back to Dijon in the early evening for some free time to relax before dinner. Tonight a sublime Burgundian dinner at 2 Michelin starred Hostellerie du Chapeau Rouge awaits. Chef William Frachot “terroir lover” as he calls himself conjures up the most mouthwatering dishes which accentuate the flavors of the prime ingredients he sources. Such delights might include; Eggs Meurette, Beef Bourguignon followed by exquisite local cheeses, Blackcurrant Meringue or the divine Gingerbread Soufflé, beautifully paired with Crémant de Bourgogne Terroir de Chazot – Domaine Picamelot, Saint Romain 2013 – Domaine Lignier, Givry 1er Cru Servoisine 2014 – Domaine Joblot. Bon appétit! Journey south this morning to the alluring Burgundian gem of Beaune. This pretty walled town in the center of Burgundy is today as it has been for centuries the heart of the Burgundy wine trade. 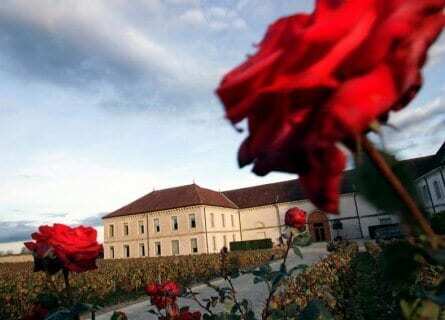 Your first stop is a VIP wine tour in Aloxe Corton at Comte Senard. Aloxe Corton is interestingly the only appellation with both red and white Grand Crus. Your tour will take in the immaculate Clos des Meix vineyards in the Corton Grand Cru Monopole and their stunning 13th-century cellars, followed by a tasting of some of their finest. 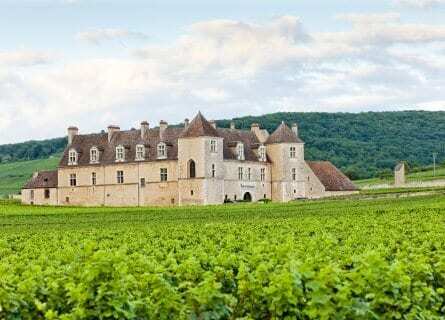 Next, a superb wine tasting lunch awaits at the mythical Chateau de Chassagne-Montrachet, the Picard family have proudly owned this beautiful chateau which sits opposite the world-famous Grand Cru Le Montrachet, since 1951. Your lunch will include an aperitif bourguignon, select charcuterie, cream of poultry soup and a heavenly assortment of regional cheeses, each dish complementing their iconic wines. After lunch it is then a short 15-minute drive to Beaune to Maison Drouhin, set in what were the old parliament buildings, the historical cellars spreading almost 1 hectare under the city belonged to the Canons of Beaune, the Dukes of Burgundy and the Kings of France. Your private VIP tour will finish with a tasting of a number of their emblematic wines. Then check into your new hotel and enjoy a free evening to explore Beaune’s graceful, cobblestoned streets lined with medieval townhouses and inviting wine bars. One last Burgundian cellar this morning and we’ve made it a particularly interesting one; Bouchard Père et Fils, one of the oldest estates, founded in 1731 has been on the map for nearly 3 centuries and 9 generations. It is also one of the largest, boasting over 130 hectares of vineyard, including 12 Grand Cru and 74 Premier Cru across a number of appellations. The domain includes the majestic Château de Beaune, an impressive royal fortress dating back to the 15th century. Your private experience will take in some of the captivating grounds and cellars before a VIP tasting. Then you will hit the road and head south to Beaujolais, visiting first the quaint Chateau de Bellevue for a private tour and tasting lunch. This idyllic 19th-century residence is surrounded by beautiful gardens and grounds overlooking the village of Villié-Morgon. Your tasting lunch will include Château de Bellevue – Morgon as well as choice wines from their other estates in Fleurie, Moulin-à-Vent and Saint-Amour. After lunch and en route to Lyon, stop for a sightseeing and a digestive walk at charming Oingt. Perched high on a hill in the middle of the “Pierres Dorées” or Golden Stones is the pretty village of Oingt. The medieval buildings are a gorgeous sandy color from the locally sourced honey-colored stone. Bursting with wine boutiques, bars, and cafés where you can sample and purchase local wines. After a great day of scenery, on to Lyon the food and wine lovers capital! Settle into your hotel, the luxurious Villa Florentine which stands high on the hill so offers the most amazing panoramic view of the city. A free evening in this terrific city, with our suggestions. The morning is yours, so take your time; sleep in, enjoy a leisurely breakfast, go for a stroll, hit some museums or the great shops. Lyon is a fascinating city to discover, not only is it a mecca for gourmands it is steeped in history, which dates back over 2500 years. Visit Vieux Lyon, the UNESCO listed Renaissance quarter, explore the “Traboules”, tiny passageways running beneath and sometimes through the buildings and houses, dating back to the 16th-century silk trade, and which were made of good use in the 2nd world war. Cathedral Saint-Jean is worthy of a visit if nothing more than for its remarkable 14th-century Astronomical clock and check out the endless “bouchons”- typical Lyonnaise bistros. 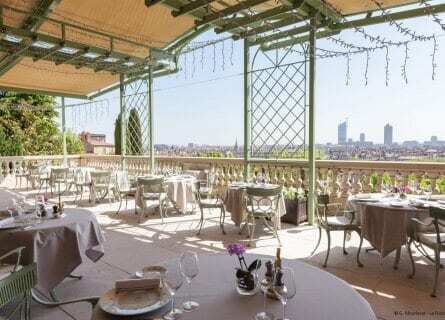 Lunch is exquisite, today at Michelin starred Têtedoie, with its great views. 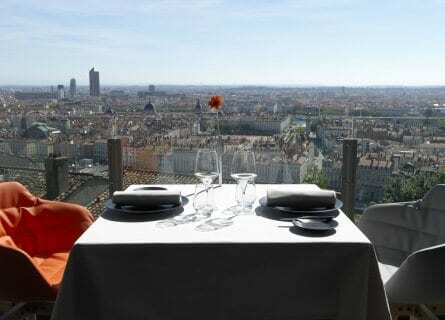 Just as your hotel, Têtedoie is nestled in the heights of the city so offers the most fabulous lookout over striking Lyon, enhanced by the floor to ceiling windows. Chef Christian Têtedoie has been passionate about gastronomy from a very young age and started working in some of the country’s top kitchens at just 17 years old. The ever-evolving seasonal tasting menu with wine pairing is a terrific option, prepare yourself for the likes of “Roasted Pork, Loin Pig’s trotters crusts, Prunes, Cereals, Red Cabbage & Whisky emulsion” or “Roasted blue Lobster tail and claws, Braised calf’s head, Lentils and Lobster emulsion” something sweet; “Hazelnut hot soufflé, Tangerine Marmalade, Kalamansi Tangerine sorbet” and naturally a fabulous selection of local cheeses – utterly delicious. Free afternoon at your leisure. At your preferred time, Mercedes transfer to Lyon’s airport for your short flight to Bordeaux (not included, we can assist with flight purchase). In Bordeaux, your chauffeur will be waiting for you and will whisk you into the heart of the beautiful city. This afternoon your driver will take you to the spectacular Cité du Vin where you will have a few hours to explore on your own before a sunset dinner at le 7, onsite, overlooking the river. The Cité du Vin is an enthralling, interactive wine museum. Everything you would like to know and more about the winemaking world from its origins, terroir, vinification processes, styles, modern innovation – informative, dynamic and thoroughly entertaining. Then it’s up to the 7th floor to the Le 7 restaurant, where a spectacular view of the city and river provides a special backdrop for your sensorial journey through locally sourced yet internationally inspired creations accompanied by an exquisite range of worldly wines. 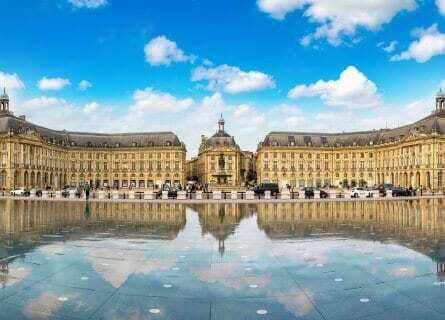 Then it’s back to your glamorous abode, the Grand Spa Hotel, Bordeaux, set just opposite the Opéra National de Bordeaux it is without a doubt the most majestic hotel in the city. Settle into your elegant room, décor at the hands of famed French designer Jacques Garcia. A sensational experience awaits you at Cos d’ Estournel today, one of France’s finest collector estates. This impressive domain in St Estephe has an exotic touch when it comes to the décor, architect Jacques Garcia has spread his magic here too, ornate elephant statues, blazing lanterns, inspired by founder Louis d’Estournel who made his fortune in Asia in the 19th century contrast beautifully with the original chateau features, as do the state of art installations, namely the impressive glass bridge that crosses the immense barrel cellar. Your reception will be fit for a Maharaja and after the captivating tour you will be seated for a tasting of their phenomenal range; Cos d’Estournel Blanc, Les Pagodes de Cos and various vintages of Cos d’Estournel. Lunch follows a wonderful, VIP lunch at Château Phélan Ségur with their exclusive chef. Originally of Irish heritage, Château Phélan Ségur has been firmly on the wine map for centuries and now encompasses over 70 hectares of magnificent clay-gravel vineyards on the hillocks and plateaux of St-Estèphe. After a vertical tasting, you will be invited to lunch in the private dining room in the family home, sit back and savor the moment! On the way back to Bordeaux town, stop into Château Léoville Poyferré for an exclusive visit and tasting. In the midst of the small, pebble-covered appellation of St Julien sits historic Château Léoville Poyferré, formerly part of the vast Léoville estate (subsequently split into 3). Léoville Poyferre really came into its own in the late 1980s-90s. Your privileged tasting will include superlative wines; Château Léoville Poyferré and Château Moulin Riche. A free evening in Bordeaux with our suggestions. Visit the cult winemaker Château Clinet this morning in pretty Pomerol. Pomerol is relatively new on the Bordeaux wine map, not receiving recognition as a “star player” until the mid-20th century. Yet these days many Pomerol chateaux reach much higher price tags than neighboring first-growths, prestigious Château Clinet is a prime example. Fresh, young blood is the driving force behind the Clinet team, owner and manager Ronan Laborde was only 19 when his father purchased the estate in 1999, he’s a true inspiration. A gastronomic tasting menu lunch will follow at the outstanding Hostellerie du Plaisance in the medieval hamlet of Saint Emilion. 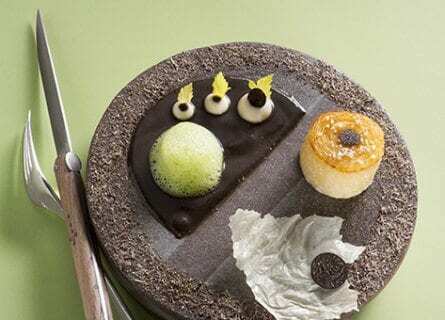 It will come as no surprise that this haunt has received 2 Michelin stars, head Chef Ronan Kervarrec is a real artist and his creations from prime locally sourced ingredients never fail to amaze. “Scallops, Sealed kernel and Sturia Caviar, cauliflower purée with seaweed, roasted avocado and tangy pickles” or Beef Smoked tenderloin with vine cuttings, pan-sautéed cepe mushrooms, and Macaire potato truffled fine mousse” are tantalizing examples of what’s in store. Enjoy some free time for shopping and strolling in this darling hamlet, before continuing with a wine experience in St Emilion, at Château Soutard. At the end of a picturesque, tree-lined drive stands the imposing Château Soutard, a late afternoon visit here, sipping their sterling wines as the sunsets over Saint Emilion – quintessentially French. Visit Château Lascombes this morning, one of the largest wine estates in the Médoc, steeped with history, and thanks to its most recent proprietor successfully benefiting from an integral revamp and modernization of the winery. Enjoy a private tour and unique tasting which includes sampling the individual varietals before the blend of the current vintage as well as some of their finest second growths. A gourmet private lunch and wine tour at Chateau La Lagune follows this is a major highlight of this trip! Lunch is actually served in the kitchen, but it really is the prettiest and coziest French country style kitchen you can imagine. Your private chef will prepare seasonal dishes washed down with the delicious estate wines, including some star vintages. An example of what awaits: Parmesan and Fresh Tomato Tarte Green Salade with a Tapenade Vinaigrette with Mademoiselle L 2012, Roasted Cod, Creamy Risotto and Fresh Seasonal Vegetables with Château La Lagune 2010, A Selection of fine Cheeses from Artisan Cheesemaker Beillevaire with a Dense, Warm Chocolate Cake and Sauternes finale – heavenly! After lunch, visit the beautiful Pichon Longueville property in Pauillac. 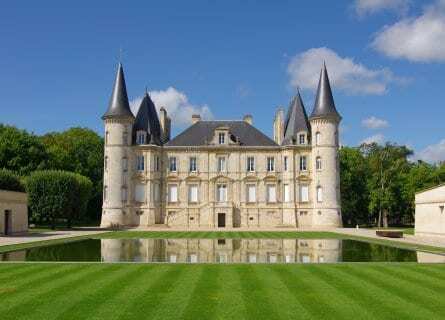 For many Pauillac is the ultimate example of a “Classic” Bordeaux and Pichon Longueville is no exception, besides the fact that it wins hands down the prettiest wine estate in the region with its fairy castle-esque turrets. Your exclusive tour will include Château Pibran, Les Tourelles de Longueville and a couple of vintages of Château Pichon Baron. Free evening then to pack and rest before your departure. At your desired time your driver will take you to Bordeaux airport for your outbound flight today and this concludes your unforgettable France Wine Odyssey! We hope you have had a wonderful time and hope to see you on another Cellar Tour vacation soon. Bon voyage!